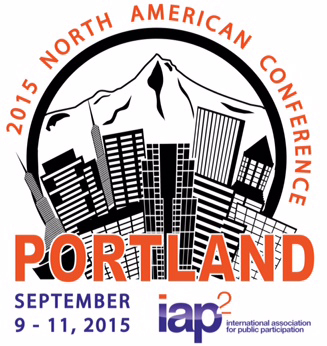 A sampling of sessions at the 2015 IAP2North American Conference but before we begin. NEW – The Conference is offering a terrific pre-conference workshop. “Diversity, Equity and Inclusion – Portland-style” will take place on Wednesday, Sept. 9 in the afternoon. It’s FREE for conference registrants (although you need to register; your passcode is included in your registration email), $75 for IAP2 members and $100 for non-members. You can register here. From Aboriginal relations to the environment, engaging a city to engaging the US Navy, a vast smorgasbord of sessions awaits at this year’s North American Conference in Portland, OR. Why are these ladies celebrating? 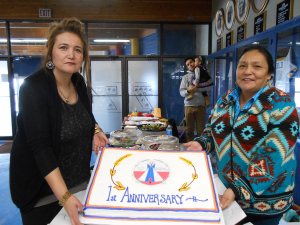 “Indigenous Corporate Collaboration” will tell you! The drought in California, which is now in its fourth year and recently prompted Gov. Jerry Brown to take the unheard-of step of ordering water rationing, is the focus of Craig Moyle’s presentation, Answering the Angry Farmer. This session looks at the San Joaquin River Restoration Program and the benefits gained when people understand the “influences” of a project. More and more, resource-extraction companies are learning the necessity of engaging with Aboriginal communities. In Indigenous Corporate Collaboration, Anne Harding of Suncor Energy and Dr David Lertzman of the University of Calgary will propose a framework for effective ethical indigenous corporate collaboration and share some early findings of their research into Suncor’s 15 years of collaboration with four First Nations in Canada. You can also hear how the US Navy’s Pacific Fleet has been building trust among US interests from Alaska to Hawai’i and the Marianas in Pacific Fleet’s 8 Steps to Trust. Alison Turner of Katz and Associates shares the strategic approach taken to addressing often polarizing issues. You can find out about all the sessions in the Schedule-at-a-Glance, which is now online. Register now, and qualify for the Early-Bird conference rates. See you in Portland! Lots more! Come to the Conference and find out!